The Supreme Court’s recent observation has come as a dampener for the Hindutva brigade, which has been rather shrill in its demand for Ram temple at Ayodhya. But the BJP also has one eye on the 2019 Lok Sabha elections. The Supreme Court’s snub to hear the Ayodhya case early has raised the hackles of the Rashtriya Swayamsevak Sangh (RSS). The organisation’s general secretary Bhaiyyaji Joshi didn’t mince words when he said Hindus felt “insulted” that Ayodhya was not on a priority for the apex court. Thus “hurt and slighted”, the RSS is not averse to launching an agitation for the construction of Ram temple if the need arose. The anxiety of the RSS and its affiliate bodies like the Vishwa Hindu Parishad over the construction of Ram temple at the disputed site in Ayodhya is palpable. The Supreme Court’s recent observation has come as a dampener for the Hindutva brigade, which has been rather shrill in its demand for Ram temple at Ayodhya, with an eye on the 2019 Lok Sabha elections. Voices emanating from the Sangh show signs of frustration, an emotion affiliates are venting in a language all too familiar. Given a choice, Union minister Giriraj Singh – whose only relevance in the Narendra Modi cabinet appears to be his overt shooting his mouth off over matters in defence of Hindutva – would not even want any court intervention. For him, matters of faith cannot be decided by a court of law, a carry-over emotion entrenched in RSS’s Hindutva portfolio, and that the “patience was running out for the Hindus”. The RSS has suddenly upped its ante on the issue. It presses for an early solution, that, it believes, shall not come through the court. The RSS therefore wants the government to explore a legislative path that “removes all hurdles in temple construction”. The Sangh isn’t in any kind of dilemma. They know it is their government in the saddle. And yet, time seems to be running out for the Modi government as the voices from the ground begin to take shape. Therefore, the Sangh seems to have timed it rather cleverly to make the mandir a core issue around which sentiments can be polarised yet again. With the mosque (Hindus could not have razed a temple to the ground, or did they?) removed from the disputed site, what remains is a few acres of vacant land mired in legal dispute. There is nothing for the Hindutva brigade to exhibit their might and destroy a symbol that reminded them of the presence of ‘the other’, but what above all could have been declared a heritage site worth preserving. The move could have only helped enrich the idea of India and restore faith in unity in diversity. But for the Sangh, the idea of ‘Akhand Bharat’ or the geographical unity is preferred to cultural or inter-faith unity that treasures diversity. The iron man, Vallabhbhai Patel, holds a significant place in the pantheon of the Bharatiya Janata Party. The name of the statue dedicated to him – statue of unity – shows that the BJP wants the nation to remember Patel for being a great unifier of disparate principalities. But isn’t this also diminishing the stature of one of the greatest icons of modern India who stood as an exemplar of Hindu-Muslim unity in the aftermath of post partition riots. “We have just heard people shouting that Muslims should be removed from India. Those who do so have gone mad with anger. I am a frank man. I say bitter things to Hindus and Muslim alike. At the same time I maintain that I am a friend of Muslims,” Patel said in his reply to civic address from the Bombay Corporation, recounts Rajmohan Gandhi in his book – Patel, a Life. The world’s tallest statue has been dwarfed by the myopic vision of Sardar’s own self-proclaimed bhakts. 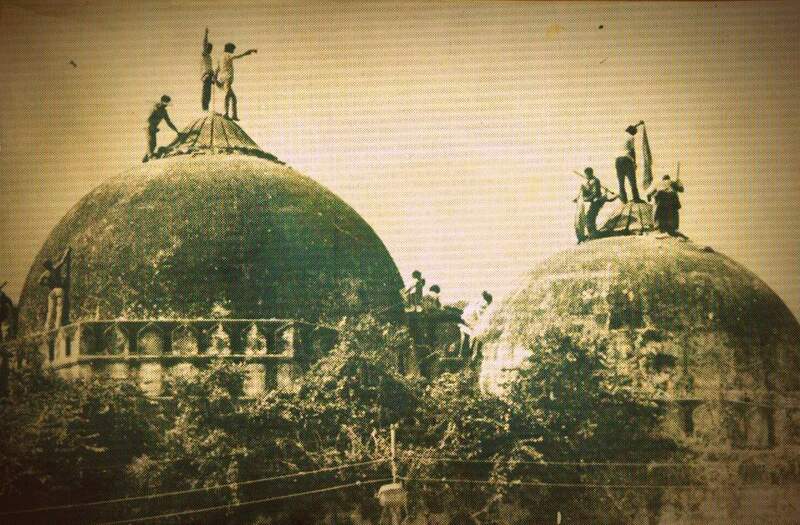 For the Sangh parivar, there was no moral dilemma when the dome was demolished. A passionate narrative of “the other” – the Muslims – was woven around Babri masjid and its subsequent demolition. Conflicting archaeological evidences wrapped in mythology were the exhibits on the other side in what proved to be a long legal battle in the disciplines of history, architecture and archaeology. For the RSS and the BJP, Ram temple at the disputed site has always been central to their faith-based politics of majoritarianism. The Hindutva forces believe matters of faith cannot be held subservient to law of the land. It was just a coincident that the near unanimous (4:1) Sabarimala verdict, which addresses the question of essentiality of faith, was pronounced even before the Ayodhya denouement. The party’s anger on Sabarimala, therefore, appears to be preparation for the bigger battle that awaits: the Supreme Court’s Ayodhya verdict. The Sabarimala verdict clearly lays down that devotion cannot be subjected to discrimination and that customs, even if essential to the faith, cannot trump constitutional norms. It is possible that the BJP now fears Sabarimala shall likely cast its shadow on the Ayodhya tangle. The Sangh parivar is not comfortable with the idea that judiciary can intervene in matters of faith and set constitutional precedents. The BJP seems to have realised that if it did not oppose the SC verdict on Sabarimala now, it shall have little space to manoeuvre in case the Ayodhya verdict went against the BJP’s idea of justice. What if the Supreme Court sets aside the 2010 Allahabad high court judgment that divided the disputed land equally among the three contenders – Sunni Waqf Board, Nirmohi Akhara and Ram lalla or the infant lord Rama? What if the Supreme Court casts the entire controversy in a new narrative that jeopardises the construction of the Ram temple? Interestingly, the Modi government has maintained a deafening silence on the Ayodhya issue for the past four years. It was busy breaking new grounds of ultra-nationalism while the fringe went about hitting new lows of bigotry. The self-congratulatory schemes it launched floundered one after another. With the government’s popularity demonetised, the BJP and the Sangh want to fall back on the time-tested formula. Bringing Ayodhya rhetoric back on centre-stage might help salvage some morsels of credibility among cadres and traditional voters in the build up to the Lok Sabha elections next year. Significantly, the prediction that BJP is set to lose the three poll-bound Hindi-belt states of Rajasthan, MP, Chhattisgarh has only added to it’s woes. The Supreme Court will decide the date of Ayodhya hearing in January 2019. But will Modi’s government rise to take the Sangh’s bait? Rakesh Sinha, the party’s Rajya Sabha MP, wants to bring a private member’s Bill to build the temple because “Ram temple is a top priority of Hindu society”. How many days SC took to give verdict on Article 377, Jallikattu, Sabarimala ?But Ayodhya is not in priority for decades and decades . It is a top priority of Hindu society . Will the government resort to an executive fiat, an ordinance? Is the Modi government ready to take gamble on Ayodhya despite likely opposition from some allies and friends? The BJP is caught in a bind. Faith exacts its revenge. For now, it is giving the BJP a taste of its own complexities. 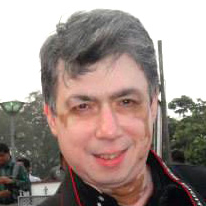 Prabhat Shunglu is a journalist and author of Newsroom Live.